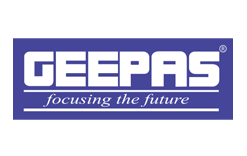 GEEPAS is an electronics equipment company based in Dubai, United Arab Emirates producing consumer electronic and household items. Founded in 1970 by Indian migrant K.P. Basheer and his Four brothers in Bahrain. Geepas is mainly focusing their business in Middle East, South Asia and African countries. The range of Geepas products include home appliances, Lighting devices, entertainment products & personal gadgets etc.